Lisa Graham was sentenced to die for paying a family friend to kill her 21-year-old daughter Stephanie Shae Graham in July 2007. Despite the fact Graham has an IQ of 77, a judge upheld a jury's recommendation of death. Patricia Blackmon was 29 years old when she committed the crime that landed her on death row. 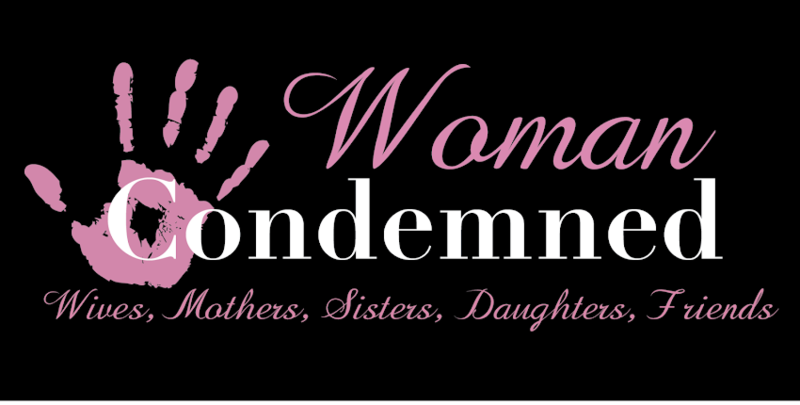 May 1999, in Dothan Alabama, Patricia Blackmon brutally murdered her two-year-old adopted daughter Dominiqua Bryant. Convicted in 2005 of crushing her infant son's, Cody, head with a deadly strike against his crib. The baby suffered a fractured skull, five broken ribs, broken wrists and numerous bruises. An autopsy showed that he died from head trauma consistent with child abuse. Sentenced to death for the murder of her autistic son. Apparently she drugged her son with sedatives and set the house on fire, killing him in the blaze. This was the fourth fire her home had had. There is much speculation to her guilt though. 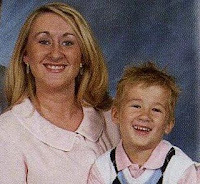 Heather was convicted of murdering her common law husband's 3-year-old son Chase DeBlase in 2010. Prosecutors allege that Leavell-Keaton cooked anti-freeze into the children's food. Phoebe Sheppard was a black girl hung for murder in 1849. When the Alabama first became a state Pauline McCoy, a black 19 year old girl, was hung for killing a 14 year old white girl, Annie Jordon, for her clothing. She testified that her father killed the girl and brought her clothes home. Pauline was seen wearing them however and arrested. They said she made a jailhouse confession but nothing was very clear. On Jan. 24, 1930, Alabama executed Silena Gilmore of Jefferson County for murder. She frequently told her captors and anyone else who would listen that she was drunk when she committed her crime and that corn whiskey was the devil. Drunk and unruly, she went into a restaurant and ordered food. She felt the food took to long to prepare and she began to raise hell. She was asked to leave by a white waiter. She went home got a loaded shotgun, came back and shot the waiter. When she was executed in the electric chair she sang hymns and told witnesses that corn whiskey was the devil. Rhonda Belle Martin was a Montgomery, Alabama waitress. She was accused and convicted of poisoning her mother, three children and two husbands. 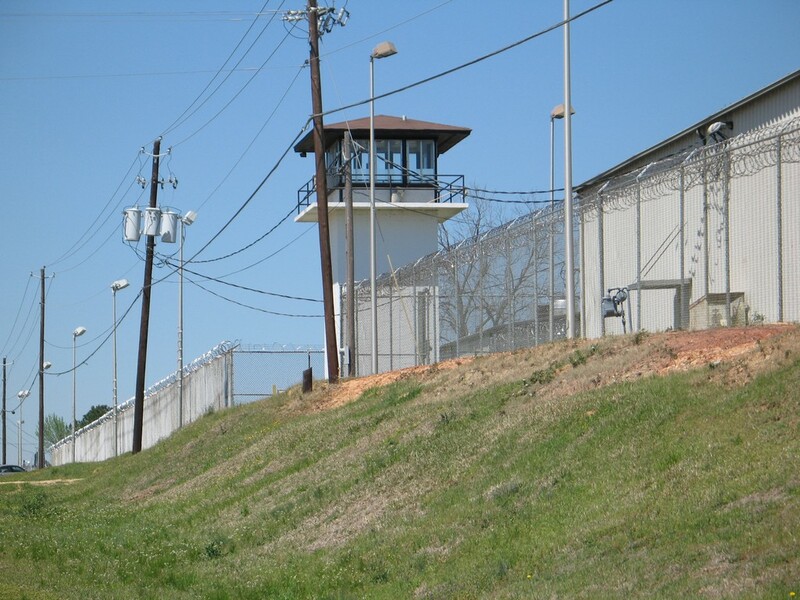 In spite of testimony that Martin suffered from schizophrenia, she was put to death at Kilby Prison in Montgomery Count on Oct. 11, 1957. Earle Dennison , a widow and surgical nurse from Wetumpka was the first white woman to be executed in Alabama. She also poisoned a child related to her. She poisoned her 2-year-old niece and died in the same electric chair at Kilby on Sept. 4, 1953. Shawna Forde was convicted in the murders of a little girl and her father because she thought they were illegal aliens. She says that isn't true and she was just targeted because she made such a strong force in the anti-immigration world and her policies worked. Shawna is an active contributor to this blog. Wendi Adriano was convicted of killing her husband for the insurance money. She bludgeoned him with a bar stool before cutting his throat. Sammantha was sentenced to death in 2017 for the death of her 10-year-old cousin who was left to die in a storage box outside in high temperatures for stealing an ice pop. 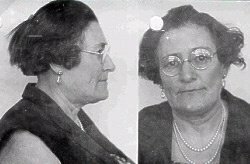 The only woman actually executed in Arizona was Eva Dugan, 49, who was hanged Feb. 21, 1930 for the 1927 butchering of Tucson rancher Andrew J. Mathis. The reason being may be that it was grotesquely botched. Evan was accidentally decapitated. The promptly switched to the gas chamber as a more humane method of execution. The evidence against her was actually all circumstantial. The victim was her ex boss who had recently fired her and the person who had the deceased car said Eva sold it to him. Rosie Alfaro, sentenced in 1992 for the murder of 9 year old Autumn Wallace. Alfaro was allowed inside the home of young Autumn because she recognized Alfaro as a past guest, an acquaintance of her older sister. Alfaro, who was 18 years old, pregnant, and high on cocaine and heroin, needed another fix, burgled the Wallace home, to garner cash to purchase drugs. When Alfaro originally planned to approach the Wallace home, she did not expect to find anyone home; when she found Autumn at home, she then realized she would have to kill her because she would know who committed the burglary. Alfaro stabbed Autumn 57 times. Dora Buenrostro was sentenced to death on Oct 2, 1998 for the murder of Latina females ages 4 and 9 and Latino male age 8 (her children) in San Jacinto on Oct 25 and 27, 1994. Stabbed. Then tried to frame her husband for the killings. First killing was two days before the other two. Sentenced to death on Nov 23, 1994 for the murders of a Hispanic man aged 34 on Jan 26, 1992 in San Carlos and a Hispanic woman aged 36 on Mar 11, 1192 in Palo Alto during burglaries. A third robbery victim, shot by Carrington three times, survived and testified against her. Carrington claimed that her lover forced her to commit the crimes so that she could give him money. Coffman and James Marlow were accused of killing four women in October–November 1986. They were arrested on November 14, 1986,following which Coffman confessed to the murders.They were put on trial in July 1989, and in 1990 sentenced to death, Coffman being the first woman to receive a death sentence in California since the reinstatement of the death penalty in 1977.A further trial in 1992 convicted her for another murder with a sentence of life imprisonment. Cyntia used to write to me but got pissed when I put some of her photos on the blog even though I told her about it. Paranoia can run rampant in prison. Kerry Dalton was sentenced to death for the murder and torture of Irene ("Melanie") Louise May but there was no body, and only circumstantial evidence. Death. No body, and only circumstantial evidence. Let that sink in. Susan got into a drunk fight with her live-in boyfriend. When he packed and left, she killed her four sons with a shotgun and then shot herself in the stomach. Tortured and killed her four-year-old niece with her husband.They were the first couple to receive a death sentence. Sentenced to death for the contract killing of her long time live in boyfriend. Valerie Martin was convicted and sentenced to death for the robbery, kidnapping, and murder of her elderly live-in boyfriend. Michelle Michaud was convicted and given a death sentence for kidnapping, sexually torturing, and murdering 22-year-old Vanessa Lei Samson. She and her boyfriend outfitted the back of their Dodge Caravan into a torture chamber with hooks and rope designed to restrain their victims. Tanya was convicted of murdering fortune teller Ha Smith, 52, and her 23-year-old daughter Anita Vo. After a fight with her ex-husband, Sandi killed all of her children using gas from her kitchen stove. Killed her husband by antifreeze poisoning to reap insurance benefits. Brooke and a friend lured two men to their motel room where they beat and tortured them for their cash and belongings. They put plastic bags over their heads and allowed them to suffocate. Mary orchestrated the killing of her husband for insurance money. Sentenced for the torture death of her 11-year-old nephew. Janeen Snyder was 21 years old when on April 17, 2001, she and her lover, 45-year-old Michael Thornton, kidnapped, tortured, sexually abused and murdered 16-year-old Michelle Curran. 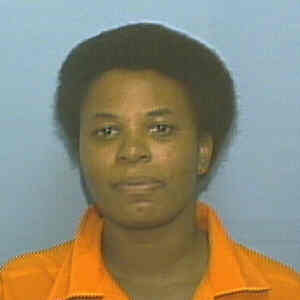 Catherine Thompson was found guilty of the June 14, 1990, murder of her husband of ten years, Melvin Johnson. The motive was a $500,000 life insurance policy that Thompson wanted to get her hands on. 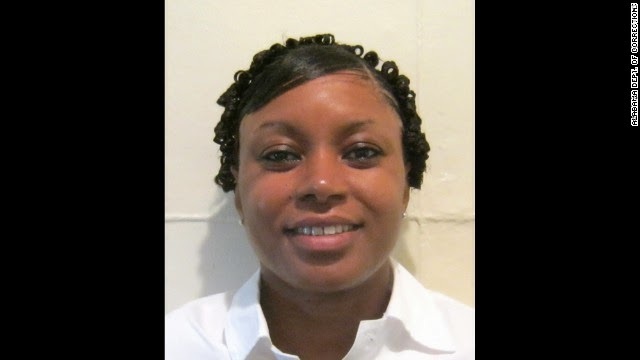 Manling Tsang Williams was 32 when she was convicted in 2010 of killing her 27-year-old husband, Neal, and sons, Ian, 3, and Devon, 7 in August 2007. It wasn't until January 19, 2012, that she was sentenced to death. Sentenced from Duval County on March 6, 2008 for her role in the double murder of a Jacksonville couple who were buried alive. Sentenced to death from Brevard County on May 19, 2011 for torturing and killing her housekeeper, Wenda Wright, whom she thought had stolen money from her purse. Sentenced for the brutal death of Audreanna Zimmerman. Brown beat her victim with a stun gun, hit her with a crow bar, and set her on fire. The victim died two weeks later from her injuries. Killed her husband and two kids in a house fire. Debra and Alton Coleman raped and murdered a young girl. She received a death sentence but is serving a life sentence in Ohio. Sentenced to death March 24, 2000 in Fayette County for murder, robbery I, burglary I, arson II and tampering with physical evidence. On March 15, 1998, Caudill and accomplice Johnathan Wayne Goforth entered the home of a 73 year old female, beat her to death and then burglarized her home. They then placed her body in the trunk of her own vehicle and drove her to a rural area in Fayette County and set the car on fire. Antoinette was a cop who robbed a restaurant she was guarding and killed the inhabitants. She is also thought to have killed her father. With her boyfriend, Lisa Jo killed her boyfriend's cousin and his girlfriend. They lived and made meth together but decided to kill the other couple when they wouldn't open a safe.